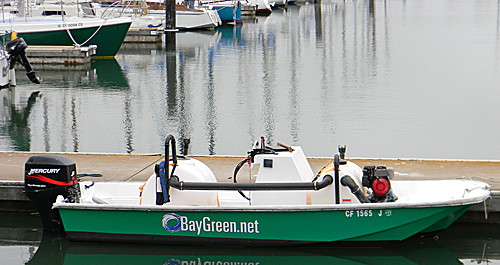 BayGreen is the true environmental choice--not only are our processes all safe for you and the San Francisco Bay Area, but every service vessel in our fleet has been recycled, refurbished and maintained using environmentally responsible methods. 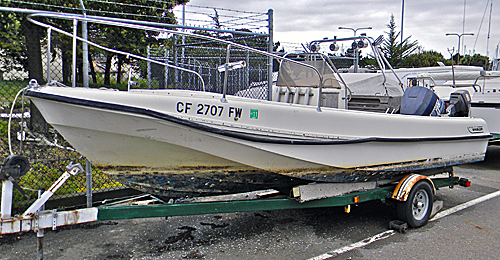 Before: Dan started with a whaler that was neglected and left for landfill. 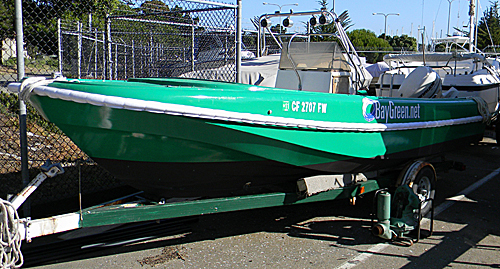 After: A fully recycled boat for Berkeley, ready to roll! 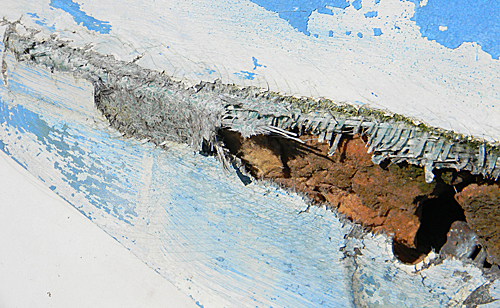 Before: Lots of damage to the hull. Before: Up close and personal, not a pretty sight. 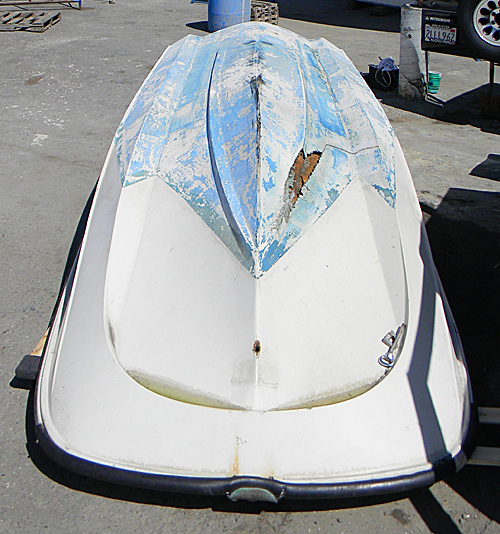 During: Fully repaired and just needs a coat of paint. 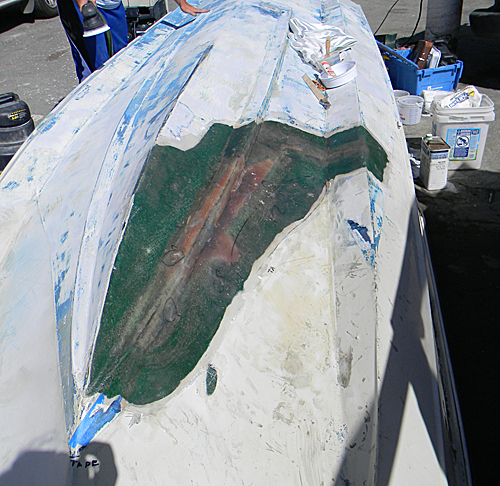 After: The San Francisco BayGreen boat, floating and fully intact!